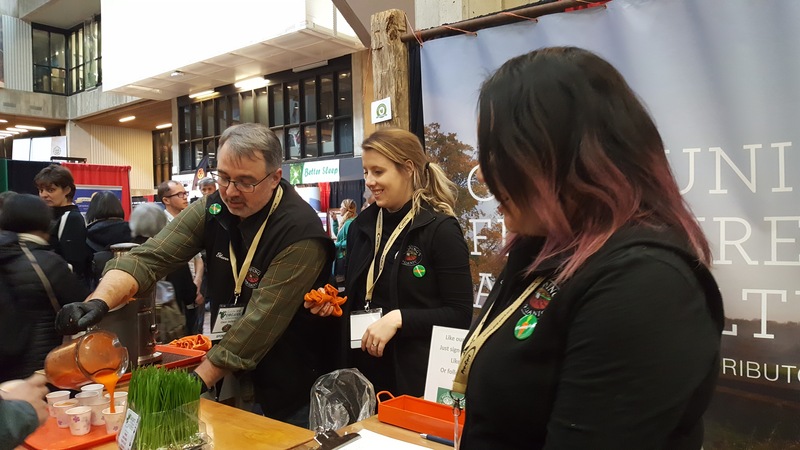 Guelph Organic Conference 2018 – #getyourcarroton! 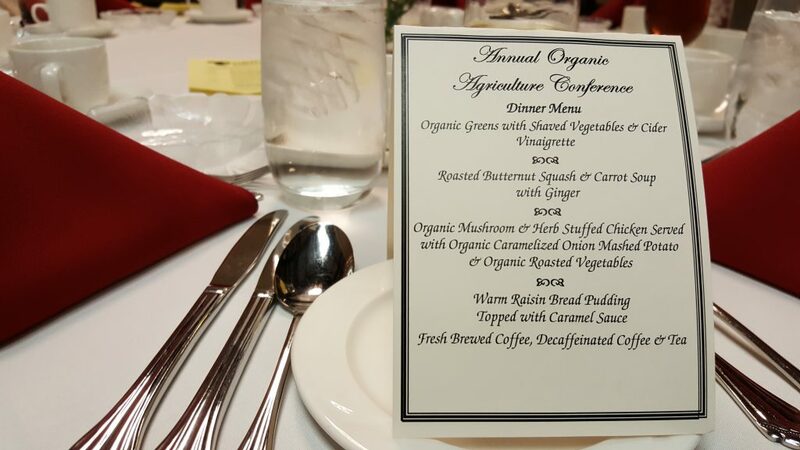 Another year, and another successful Guelph Organic Conference has come and gone. 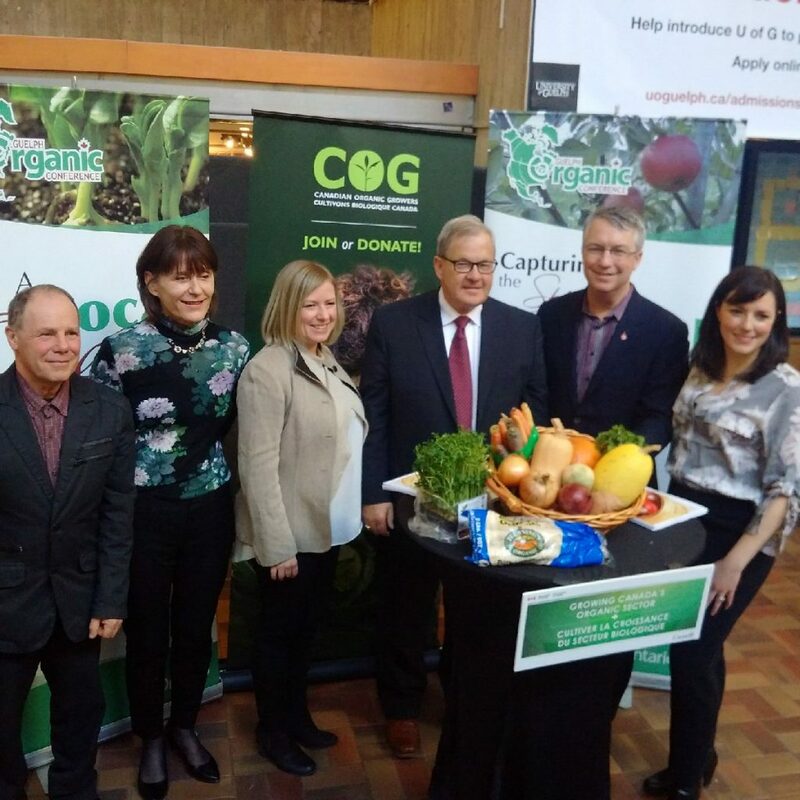 On Friday, we were excited to learn that the Government of Canada will provide funding for the Canada Organic Standards! This news was most welcome, and spirits were especially high this weekend. See here and here for more articles on this important subject. We love the conference. It is so well organized it’s a pleasure to be a part of, the workshops are informative and interesting, and the speakers and exhibitors are compelling and passionate. It’s rewarding to get together with like-minded people who share our treasured goals and values – there is a real sense of community that we appreciate so much. It’s an affirmation that what we are doing is important, that we are in it together, and all our hard work is worth it. 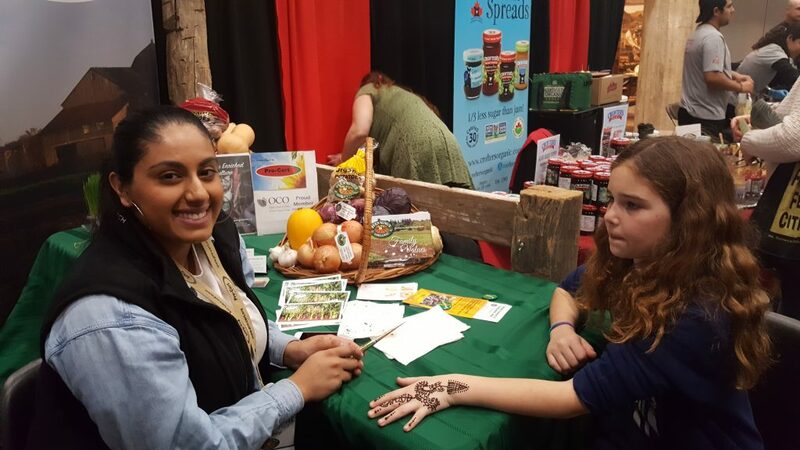 We also love talking to people who are new to the world of organics – their curiosity and questions are most welcomed. In addition to all of that, it’s fun! 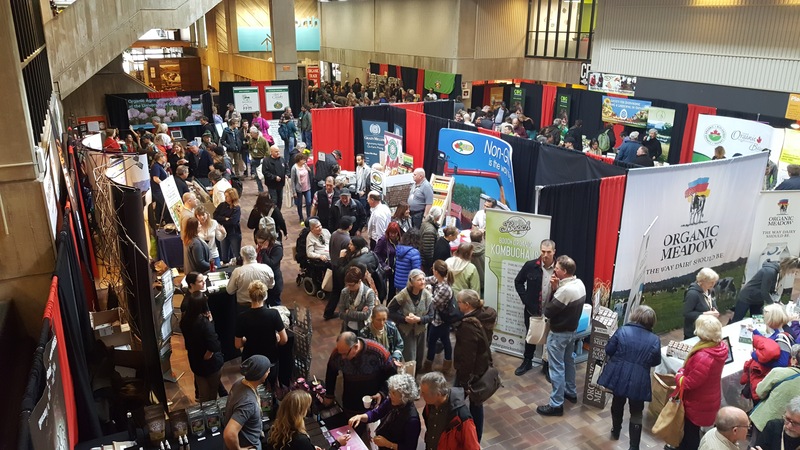 The social events, the workshops, and the tradeshow – there is so much to do it’s hard to fit it all in. 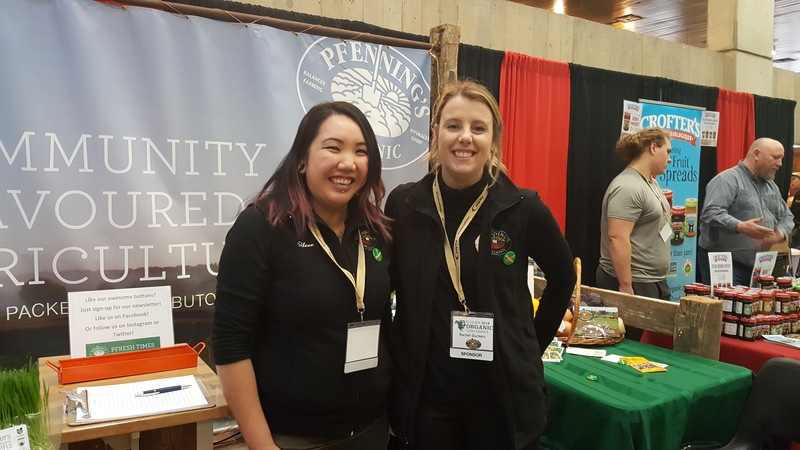 Catching up with old friends and talking to new people, visiting the many booths and sampling their wares – there is always a new favourite to discover! Dinner was most delicious Friday evening! Waiting for dinner to start. 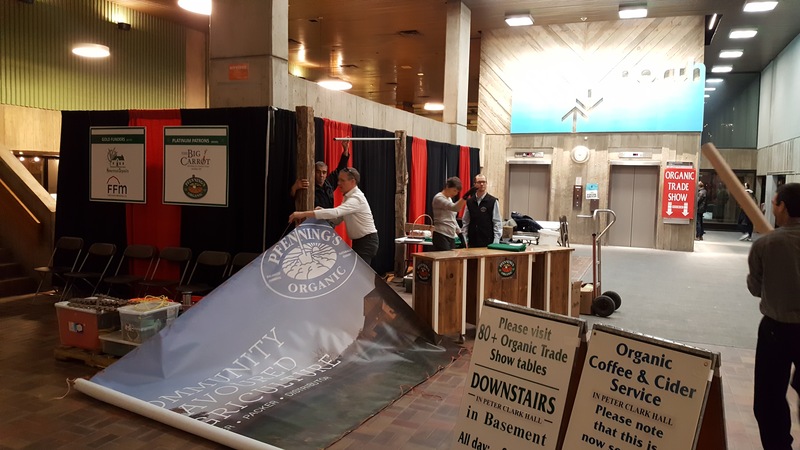 We are so well-practised at setting up the booth, it all went off without a hitch. Well, almost. 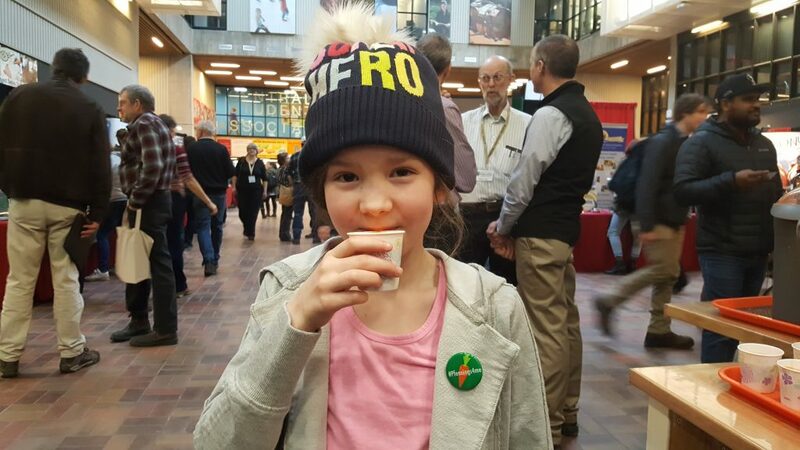 Kids love carrot juice too! 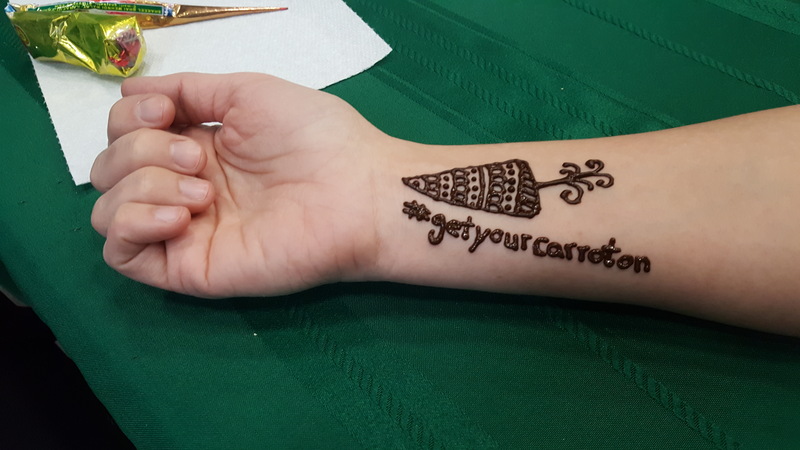 Diljot, one of our summer student workers, volunteered to give carrot henna tattoos! She did beautiful work, and the tattoos were a hit. University Centre Friday evening before the exhibitors set up their displays. What a transformation! 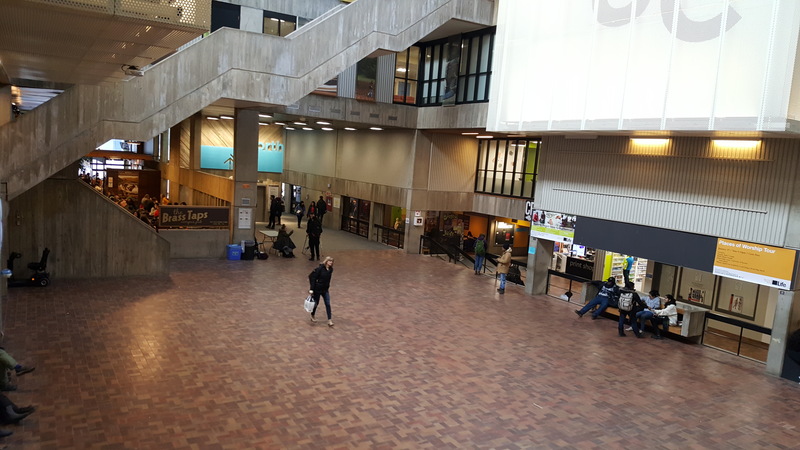 University Centre Saturday morning, when the tradeshow was in full swing. 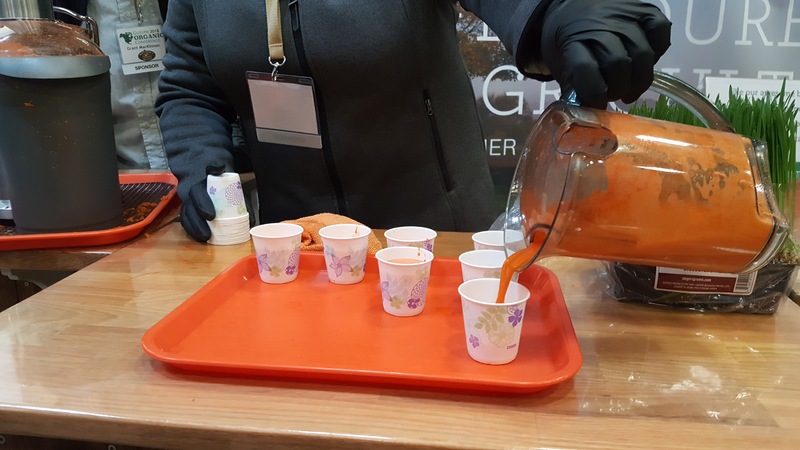 Keeping carrot juice coming all day long! 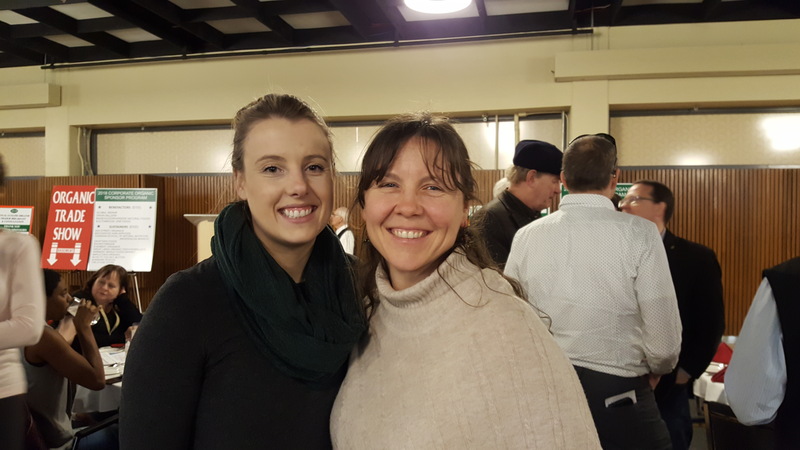 Eileen and Racheal were available for purchasing and HR – related questions. Thank you to everyone that came out and supported us – and we’ll see you again next year!